What is a signature? Normally signature means a sign-manual or penmanship and it does using a pen by our hand. But in case of electronic letter, manual pen signature is not possible, so we use electronic signature for electronic letter (e-mail). Normally signature will be at the end of the letter, like this most of email providers allow signature at the end of mail text. 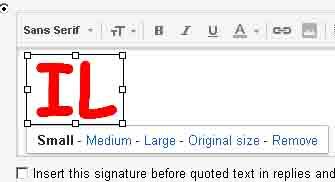 Here let us see how to add a signature in Gmail with your logo or image and link. All these steps are working on any devices like Android, iPhone, Mac, Windows etc. 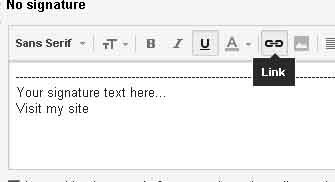 To add images or links on signature, your Gmail should be in standard desktop view. 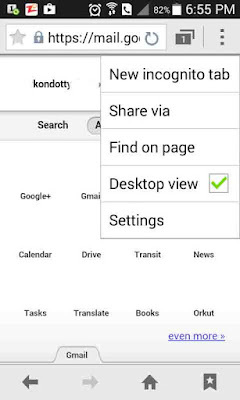 Normally almost mobile browser views are in mobile view, but you can change it in to desktop view. And you should open Gmail in your phone browser, application for email or Gmail App is not supported to edit signature. 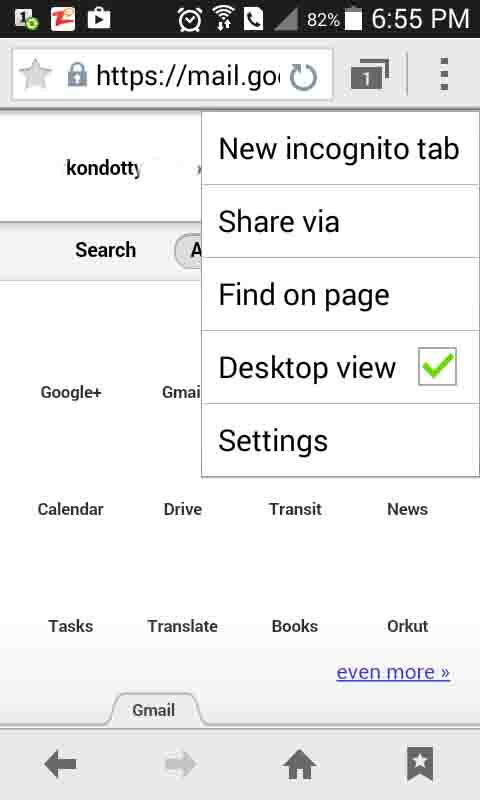 After converting to desktop view, you must ensure the Gmail view is in ‘Standard’. There are two type of Gmail view; ‘Standard’ view for fast internet and ‘Basic HTML’ view for slower bandwidth internet. Basic HTML view allows adding text based signature, but you should convert in to standard view to add images or links on your signature. In the white space, you can type the text based signature texts. To add link to your site or link of social network pages, select a text that you want make link and click the ‘link button’ from top editing menu. From given small window, type the link address. Then press OK button. Click the ‘Insert Image’ button. There are 3 type of image selection, first is selecting image from your Google Drive, second is uploading image from your computer and third one is uploading image using a web link. You can choose any option according to the location of your signature logo. To upload from computer, go to second tab, there you can see an upload button to select image from your computer. After selecting an image, your image will automatically open in signature space. Where, you can customize the size of image such as small, medium, large and original size. To add animated images, then choose animated gif image from your computer. If you want to bring a link behind the image, then first select then image and open the link option and add the web address. After adding proper signature, ‘Save Changes’ complete the process. This may be temporary problem or the problem of your browser. Try to do with another latest version of browser. If the link editing window does not open, then choose ‘change’ link to appear the link window.